How do you know if that marketing campaign has the right tone? The right theme? The right call to action? You know because you can test it against your personas, and if it fits, it’s right. A persona is a reliable and realistic representation of your key audience segment that’s based on research. Many businesses will have multiple personas based on different customer segments. No matter how many you have, each should include a job title, demographics, that segment’s goals, a summary of their environment, and other information that fleshes out the persona. The research for your personas can come from a variety of sources. Your CRM platform provides a wealth of information, as does Facebook. Focus groups and customer interviews, third-party studies, and Google Analytics are additional resources. Once you have the data, condense the research, and then organize it so it accurately represents your target users. 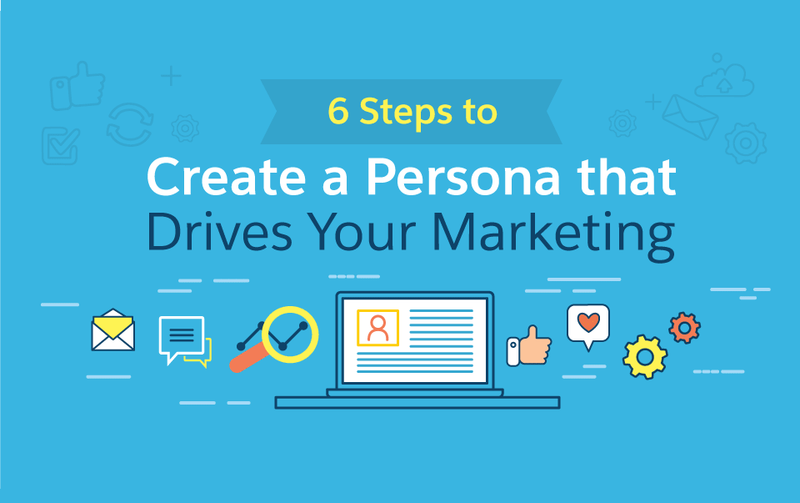 From there, it’s time to give your personas more personality and depth so they’re a useful, powerful tool for your marketing efforts. Check out the infographic below, created by Salesforce, for more on how to create your own personas.